Get the newsletter directly in your inbox. India is moving on the path from 'local solution' to 'global application'; PM unveils statue of Deenbandhu Sir Chhotu Ram at Rohtak & more! PM announces free insurance cover for ASHA & Anganwadi workers, highlights his vision of 7Cs for future of mobility in India & more! 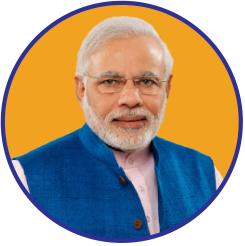 Parliament is the best forum to debate & discuss, says PM; Ujjwala Yojana achieves 5 crore mark before deadline... Read more in the newsletter!